The Rainbow Conspiracy Part 12 here. 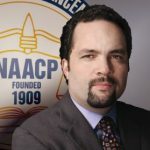 Electing Ben Jealous would be a disaster for Maryland and for the country. He is a far-left socialist, backed by out-and-out Marxists at every level of his campaign. The Republican Party needs to get serious about exposing Jealous, his stealth socialist financial angel Steve Phillips and the army of grass-roots communists now door-knocking across Maryland for their “progressive” hero. If all goes to plan, Democratic Party “mover and shaker” and stealth socialist Steve Phillips will elect four state governors this year. They are Stacey Abrams (Georgia), Andrew Gillum (Florida), David Garcia (Arizona) and Ben Jealous (Maryland). Of the Steve Phillips quartet, David Garcia and Ben Jealous probably have the greatest chance of success. Jealous is certainly most closely in tune with maestro Phillips. 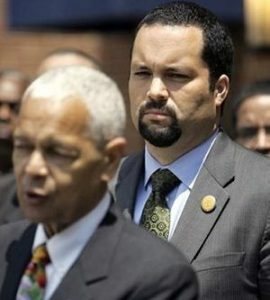 A little younger than Steve Phillips, Ben Jealous was a creation of the “civil rights” movement. His parents met in Baltimore. His white father, Fred Jealous, helped integrate lunch counters in the South. His black mother, Ann Todd, worked with the communist-saturated “Student Nonviolent Coordinating Committee” (SNCC). When the couple married, they had to leave Maryland. Inter-racial marriage was still illegal in 17 US states at the time. 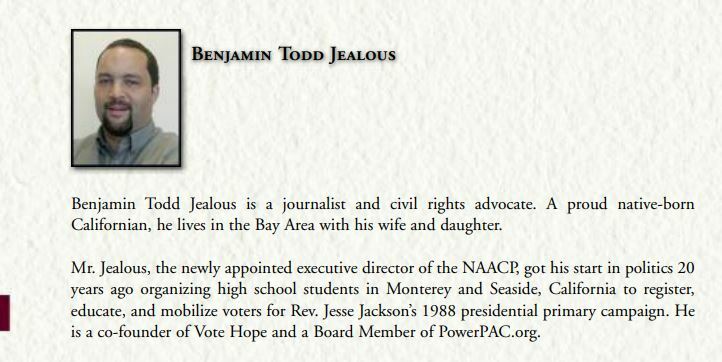 Jealous grew up in Pacific Grove, coastal Northern California, where, like Phillips, he became active in Jesse Jackson’s Rainbow Coalition as a 14 year-old voter registrant. Jealous, whose son is named after Rev. Jackson, watched in 1989 as two African American followers of Jackson — Doug Wilder and Democratic Socialists of America member David Dinkins — won elections in Virginia and New York City. Candidates tend to shirk historical comparisons, but Jealous’ run is explicitly based on one: Bernie is 1988, and he is 1989. ‘Jackson’s campaign says you can make social movements matter with a campaign; Wilder and Dinkins showed you could make social movements stronger and win,’ he told me. ‘In each case they started out with the ashes of a failed presidential primary bid and would build a coalition that was much larger and much more inclusive—and that’s fundamentally what we’re doing here. Jealous also spent a semester in Washington, DC, working as a page for Leon Panetta and as an intern for Sam Farr, two far-left Congressional Democrats from California. 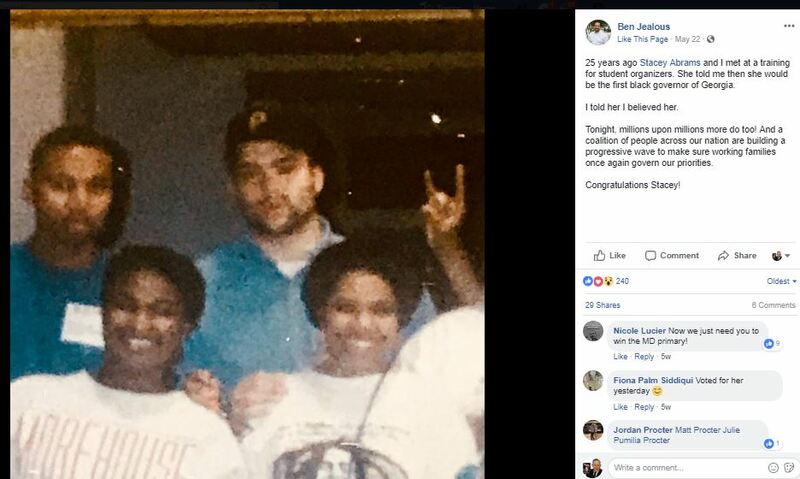 By the early 1990s, Ben Jealous was studying at Columbia University in New York. As president of Columbia’s radical Black Student Organization, Jealous led a series of campus protests. In December 1992, Jealous and a group of fellow demonstrators climbed through a window of Columbia’s Low Memorial Hall to disrupt a board of trustees meeting. The group, which included Jealous’ friend and comrade Eric Garcetti (now Mayor of Los Angeles), were trying to prevent Columbia, which had recently purchased the Audubon Ballroom where Malcolm X was assassinated in 1965, from demolishing the building and replacing it with a biomedical-research complex. Columbia suspended Jealous for one semester as punishment. It was two years before he returned to the university. During this period, Jealous also met another young student activist named Stacey Abrams. Years later, Jealous would introduce Abrams to his mentor Steve Phillips, who would go on to fund both their political careers. Jealous moved to Mississippi to take a student-organizing position with the AFL-CIO. He then joined the African-American newspaper, The Jackson Advocate, first as an investigative reporter and then managing editor. Jealous returned to Columbia in the mid-1990s to complete his undergraduate degree in political science. Then, as a Rhodes Scholar, he earned a Master’s degree in comparative social research from Oxford University in 1999. From 1999-2002, Jealous served as executive director of the National Newspaper Publishers Association, the largest consortium of black community newspapers in the country. That position was followed by three years as the director of the US human rights program at Amnesty International. This was followed by a stint at the San Francisco based Rosenberg Foundation, a leftist “70-year-old grant-making institution focused on economic inclusion and human rights for Californians.” Jealous still serves on the Rosenberg board, alongside, among others, Bill Lann Lee, former assistant attorney general for the Civil Rights Division in the United States Department of Justice in the Clinton administration. Jealous’ next career move was to take over leadership of the NAACP (National Association for the Advancement of Colored People) in 2008, at the age of only 35. 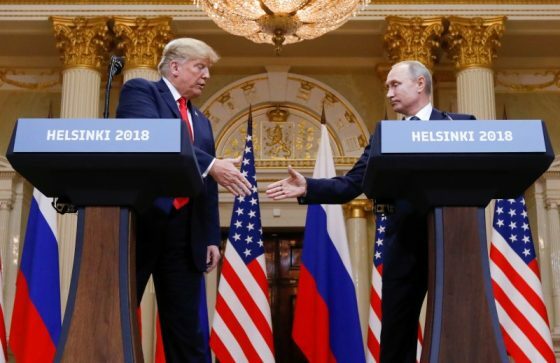 It was a controversial appointment, made possible with the intervention of another Marxist – longtime Democratic Socialists of America activist and NAACP selection committee member Julian Bond. “Ben’s selection would not have happened but not for Julian Bond,” says Wade Henderson, an NAACP veteran who served on the selection committee. Jealous modernized the NAACP, placing the group at the fore of high-profile civil rights cases. Jealous led the NAACP during its largest and most successful voter registration drive in 2012 when the association registered over 360,000 African Americans, nationwide. Just prior to the NAACP position, Jealous formed his partnership with Steve Phillips. They had much in common. Both grew up hearing tales of the civil rights era, both worked in Jesse Jackson’s Rainbow Coalition and both were former student activists. Phillips led the Black Student Union at Stanford, while Jealous led the Black Student Organization at Colombia. The duo would have drinks at the San Francisco Ferry Building on the last Wednesday of every month. The pairing would prove disastrous for America. In 2007 and 2008, Steve Phillips and Ben Jealous worked with Phillips’ old student comrade and election genius, Andy Wong, to implement an 18-state initiative called Vote Hope that “increased communities of color participation in state primaries and the federal general election in 2008.” Phillips, Ben Jealous and Andy Wong all served together on the board of Vote Hope sister organization PowerPAC.org. At that time, then-Senator Barack Obama was assembling his Presidential campaign and California’s primary moved from June to a more influential month, February. ‘We created Vote Hope, the first super-PAC aimed at supporting Barack Obama’s bid for president. Vote Hope was the largest independent effort in the nation to increase voter turnout in communities of color. It drew in $10 million, and expanded to 18 states during the primary season’. After President Obama’s election, ‘we set up a DC office and worked closely with the administration’s personnel staff’ to build a Diversity Talent Bank that the White House used to identify and hire more than 60 people including Associate Attorney General Tony West. During that same period, many in our network became leaders in non-profits, philanthropy, and government such as Vote Hope fundraiser and former board member Benjamin Jealous who became NAACP president’. In 2009, ‘we convened’ the leadership of the largest civil rights groups in the country and helped execute a media campaign targeting senators who were wavering on the health care reform bill. That effort led to the creation of a coalition of labor, civil rights, and progressive groups who conducted the One Nation Working Together 10/2/10 March on Washington. Jealous, Phillips and Wong played a major role in getting Obama elected. Then they helped staff his administration with their far-left comrades. Then they ran propaganda campaigns for him. And by helping with small donor fundraising. Steve Phillips and his mega-rich friends take care of the big money. 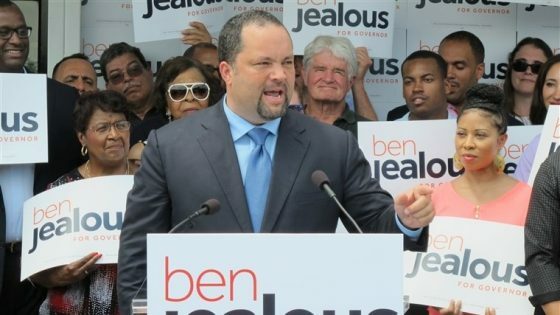 Several wealthy leftists, mainly from California, contributed $600,000 to two of four political action committees supporting Ben Jealous in the Maryland Democratic gubernatorial primary. This, together with nearly $900,000 from labor unions, gave the Jealous campaign a significant financial edge over most of his five main Democratic primary rivals. PACs affiliated with Working Families Party, Progressive Maryland and Our Revolution – Maryland say they are spending about $500,000 to boost Jealous. Most of the big individual contributors to Maryland Together We Rise are well-known donors from Northern California. Kapor, founder of the Lotus computer software company, said it’s rare for him to give money to a PAC because, in general, “Politics is broken and the funding is broken.” He made an exception in this case, donating $50,000 to the pro-Jealous PAC, because of his personal familiarity with Jealous and because (Steve) Phillips, a friend, asked him to do so. 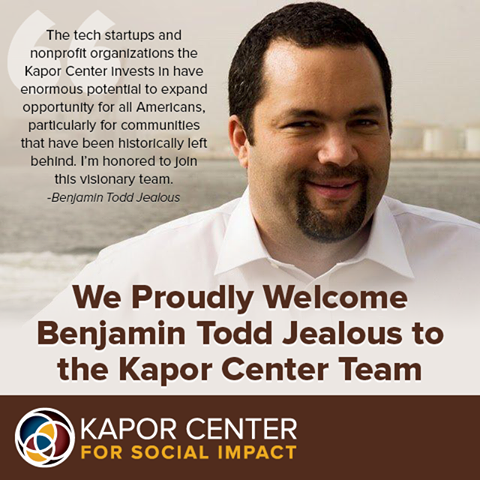 Mitch Kapor’s leftist investment firm is a great cover for Ben Jealous’ far-left outlook. In 2011, two young Freedom Road Socialist Organization-linked radicals, Steve Williams and N’Tanya Lee, embarked on a nationwide, 16-month study of the American left. They called it the Ear to the Ground Project. The pair interviewed more than 150 activists, mostly from the orbit of the Freedom Road Socialist Organization. The result was a new nationwide socialist grouping, closely allied to Freedom Road, called LeftRoots. Financial sponsors of the 16-month socialist odyssey that produced LeftRoots included several of Ben Jealous’ financial backers: including Quinn Delaney, Steve Phillips and Susan Sandler, and Mitch Kapor, through his Mitchell Kapor Foundation. 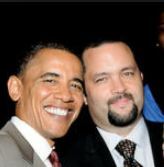 Just like the early Obama days, much of Ben Jealous’ campaign funding comes from Steve Phillips and his rich leftist. LeftRoots incidentally is currently working with Freedom Road Socialist Organization, Communist Party USA, Democratic Socialists of America and Committees of Correspondence for Democracy and Socialism in the Left Inside/Outside Project, an ambitious and fast unfolding program to take over the Democratic Party. Martin Randolph serves as the Treasurer of Maryland Together We Rise, the main PAC set up to help Benjamin Jealous win the governorship of Maryland. Randolph is the former Senior Vice President for Campaigns at the NAACP, Director of Organizing and Politics at the Center for Community Change, Western Regional Political Director of SEIU, Southern California Field Director of the AFL-CIO Labor ’98 Campaign and National Executive Director of Project Vote. He is a longtime friend and supporter of the Midwest Academy, the Democratic Socialists of America led Alinskyite training school based in Chicago. He also serves as Director of community based electoral initiatives at Steve Phillips’ Sandler Phillips Center and as CEO and President of the Southern Elections Fund, under board members Andy Wong, Steve Phillips and Ben Jealous. The Southern Elections Fund was originally established in 1969 by Jealous’ old mentor Julian Bond to help elect local and state level candidates for office in the south. The modern-day Southern Elections Fund will work in the South to expand the electorate, develop new leaders of color, and ensure that enhanced electoral power brings progressive change. That’s where the money comes from. Most of the on the ground work for Ben Jealous’ Maryland campaign comes out of the Bernie Sanders movement/Democratic Socialists of America. 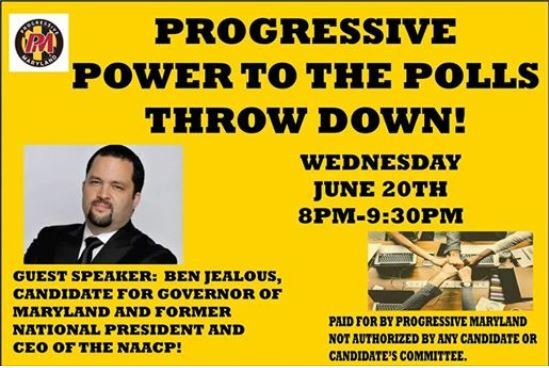 Ben Jealous serves as a bridge between the Phillips and Sanders wings of the Democratic Party. Fully committed to the Phillips agenda, Jealous served, until recently, on the board of the nationwide 100,000-strong Our Revolution. Democratic Socialists of America controls Our Revolution all over the country. Some DSA branches simply double as the local Our Revolution branch. David Duhalde is the “Senior Electoral Manager” at Our Revolution national office. He was previously Deputy Director of Democratic Socialists of America. Ben Jealous addressed the very first meeting of Our Revolution – Maryland April 23, 2017, at the Tommy Douglas Conference Center, Silver Spring. 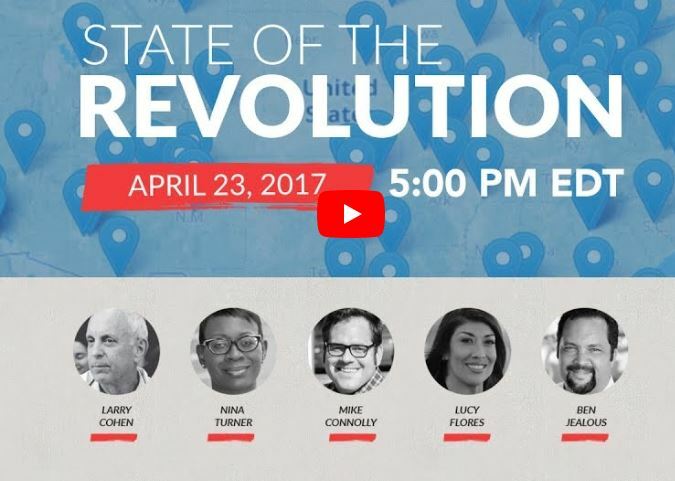 Speaking alongside him were fellow Our Revolution board members Larry Cohen (DSA supporter) and Nina Turner (former PowerPAC+ endorsee), former Nevada State Assembly member and PowerPAC+ endorsee Lucy Flores and Massachusetts State Representative and DSA member Mike Connolly. Our Revolution – Maryland endorsed Ben Jealous and poured everything they could into Jealous’ primary campaign. All six branches mobilized – led by DSA comrades and supporters such as Paul Baicich, Randy Barber, Cliff Walker Green, Jared Schablein, Harry Baker and Ben Ross. 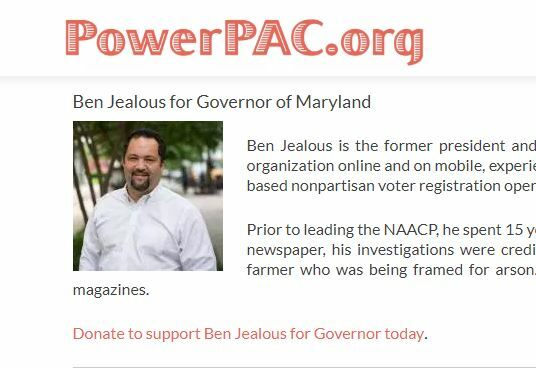 Ben Jealous was also endorsed by another leftist powerhouse in the Old Line State, Progressive Maryland – yet another Democratic Socialists of America front group. At Progressive Maryland, we’ve been on board with Ben from the start – and he with us. Back in December, he let us know where he stands on key issues: the $15 minimum wage, workers’ right to organize, women’s rights and Medicare for All. ..Ben’s primary victory represents a shift in the balance of power in Maryland politics and within the Democratic Party away from the old, corporate consensus that the only kind of change that’s possible is incremental. He is bold, and so are we. Jealous’ plan is to run as an overt progressive, to generate enough enthusiasm from the Democratic base to overcome first his Democratic opponents and then the Republican incumbent Larry Hogan. “We turn out the unlikely voters, we will wallop Hogan…I’m in this to wallop Hogan,” says Jealous. So far he’s halfway there. “We’re modeling our campaign after Jackson’s Rainbow Coalition—and also on Obama’s 2008 campaign,” Jealous says. Electing Ben Jealous would be a disaster for Maryland and for the country. He is a far-left socialist, backed at every level of his campaign by out-and-out Marxists. The Republican Party needs to get serious about exposing Jealous, his stealth socialist financial angel Steve Phillips and the army of grass-roots crypto-communists now door-knocking across Maryland for their “progressive” hero.